Home » Language » Which Arabic Dialect Should Translators Master? Which Arabic Dialect Should Translators Master? Learning any language requires choosing a dialect, but in Arabic this choice is perhaps more important than in other languages. Differences in Arabic dialects are sometimes so large that speakers from different areas cannot communicate with one another. This poses a problem for anyone considering learning Arabic for translation: unless the translator already has a connection to a certain dialect, making a choice of which one to master may mean limiting work to a certain region. Here’s a guide to five major dialects to help you more easily select which form of Arabic to study. Originating from Classical Arabic or Literary Arabic, Modern Standard Arabic (MSA) is the language of the Koran with some modern vocabulary updates. Since it’s common throughout the Arab world, MSA might seem like a great choice for someone considering translation or interpretation. The problem is that MSA is a written dialect more than a spoken dialect. Children learn it in school, but don’t speak it at home. Translators may find it useful in academic and religious contexts, but may struggle to have everyday conversations. For the past couple of decades, television shows broadcast out of Egypt have been widely viewed in other parts of the Arab world. Because of this, Egyptian Arabic is considered to be one of the most understood dialects of the language. About 53 million people speak Egyptian Arabic, according to the UCLA Language Materials Project. This wide range of speakers makes it one of the best dialects to learn. Moroccan Arabic does not have the linguistic prevalence of Egyptian Arabic, since its 20 million speakers reside mostly within Morocco. Although the dialect is similar to the Arabic spoken in Mauritania, Algeria, Tunisia and Libya, it is sometimes considered one of the least comprehensible dialects to speakers from other parts of the Arab world. For that reason, it’s a good choice only for translators who know they want to focus on Morocco. Morocco has a well-established trade relationship with Europe, so it could be an interesting dialect for speakers of romance languages, especially since French is another main language of the country. Arabic speakers living on the Eastern coast of the Mediterranean in Syria, Lebanon, Palestine and Jordan use the Levantine dialect. Translators would do well to learn the dialect, given the historical, religious and current political importance of the region. Overall, the language has 21 million speakers. Understanding of Levantine Arabic by speakers of other dialects has increased because of the Palestinian diaspora. It should be noted, however, that the dialect varies between countries. As its name suggests, Gulf Arabic is spoken by about 3.6 million people living around the Persian Gulf in Kuwait, Iraq, Saudi Arabia, Bahrain, Qatar, the United Arab Emirates, Oman and Iran. The region has global economic importance as the world’s largest source of crude oil. Translators interested in diplomacy, business, engineering and international development would benefit from learning Gulf Arabic. Besides those listed above, there are many other dialects of Arabic. To hear some, check out this Reddit project showcasing the same story as read by Arabic speakers from different regions. Overall, it’s best for translators to focus on a region that interests them and pick the dialect that fits that area. Learning a dialect in conjunction with MSA can also be helpful for grammar, mastering the alphabet and increasing the versatility of the translator. Interpreters will definitely need to know a dialect and may even need other regional languages to best meet client needs. So decide where you want to work and what you want to do, then pick the dialect accordingly. 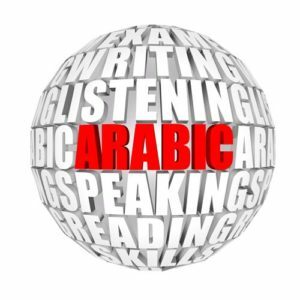 Have you learned Arabic as a second language for personal or professional reasons? Which dialect did you choose and why? If Arabic was your first language, what dialect do you speak and what dialect would you recommend for others to learn? We’d love to know! May one observe, with all due respect, that this good article incorrectly conflates translators (who deal with text or printed source materials) with interpreters (who deal — usually in an interactive or sequential mode — with rendering clear and accurate utterances verbalized between L1 L1 speakers). Translation of Arabic text involves working almost exclusively (some Egyptian TV soaps, stage plays, and novels have been the most-common exceptions) with ** dialect-free ** formal literary Arabic text. Basically, a translator’s most-often work will very rarely involve working with Arabic text rendered in a clearly-artificial local Arabic dialect. An interpreter who works in the Arabic language must primarily, and firstly, develop a solid foundation in MSA (also called Formal Spoken Arabic or Formal Literary Arabic, depending on where one asks), along with associated specialized vocabularies, to enable interpreting during sessions which involve discussions of the most-likely and most-demanded range of technical, formal, protocol, commercial, legal, medical, administrative/immigration/asylum, and other “structured” subject areas. Parallel to, or just after, building a base in MSA, an interpreter should select and build additional skills for familiarity and proficiency in the Local Dialect Arabic (LDA) which applies to the region[s] where the interpreter’s customers have interests and would like need access to an interpreter skilled with the proper LDA for (ahem). Customers consider an interpreter proficient in both MSA and the suitable LDA as a “gold-plated asset” when the interpreter supports the success of “other-than-formal” occasions, such as receptions, social mixers, entertainment/recreation visits, informational tours, medical tourism, advising/assisting/escorting international visitors’ family members (especially young children) who do not know MSA, and the like. Hope this helps. Today is Monday, July 7, 2014.